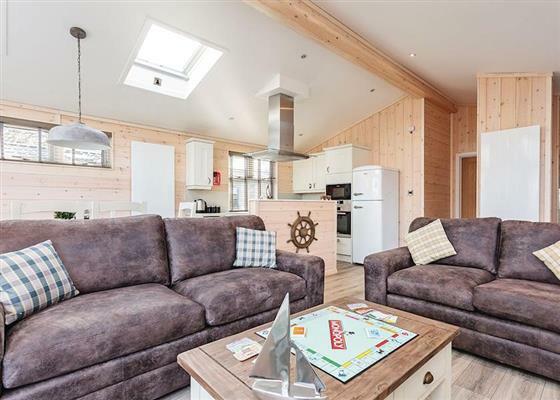 Woodside Bay Coastal Retreat in Wootton Bridge sleeps between 2 and 8 people, with the accommodation being lodges and quirky holidays. 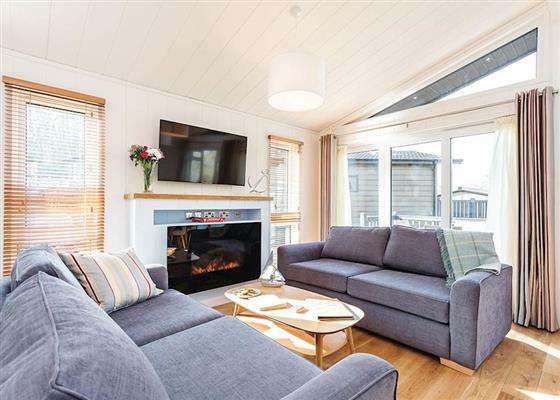 Woodside Bay Coastal Retreat is a lovely collection of lodges for some luxury; this oasis of opulent luxury and blissful relaxation nestles at the water’s edge on the Isle of Wight’s serene north-east shores, with views over the Solent. Backed by lush woodland and hosting abundant wildlife, Woodside Bay offers a haven of tranquillity just 4 miles from vibrant Cowes – perfect for exploring this magical island. Each beautiful lodge bursts with premium contemporary design touches to create a sumptuous home-from-home – some with outdoor hot tubs – while the on-site spa, delicious restaurant and chic bar give the last word to indulgent unwinding. Woodside Bay Coastal Retreat has a sauna and steam room, treatment rooms, bistro. Woodside Bay Coastal Retreat also has Wi-Fi. If you want to find out what other people have said about Woodside Bay Coastal Retreat, read the reviews on Woodside Bay Coastal Retreat for more information. And, for those last minute bargains, have a look at some of the special offers available at Woodside Bay Coastal Retreat. "Brand new for 2016. 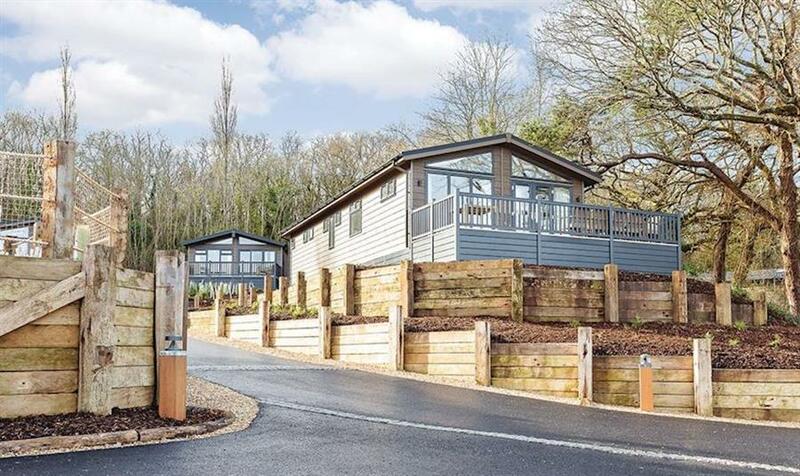 Fresh and contemporary lodge style holiday home. One double with spacious ensuite bathroom. 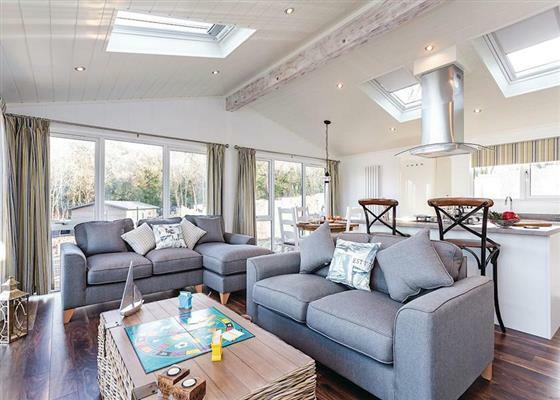 Stunning, well equipped open plan lounge/kitchen area with French doors leading to decking." "Brand new for 2016. 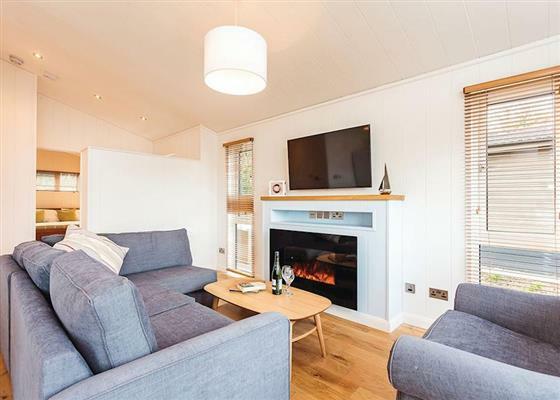 Fresh and contemporary lodge style holiday home. One double with spacious ensuite bathroom. 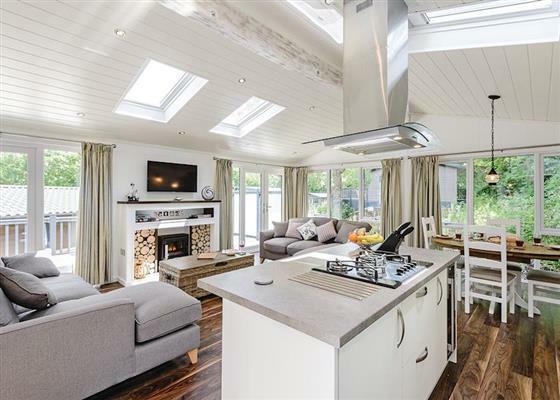 Stunning, well equipped open plan lounge/kitchen area with French doors leading to decking with outdoor hot tub." Brand new for 2016. Stunning and unique studio treehouse lodge. Open plan lounge/small kitchen/dining area with one double. Bathroom. Full length windows with breathtaking views. French doors leading out to decking area with furniture. Outdoor hot tub. No pets. "Brand new for 2016. Luxurious lodge with two spacious and luxurious king size doubles, both with ensuite shower. Stylish well equipped open plan side aspect lounge/kitchen area. Patio doors leading to decking with outdoor hot tub." "Brand new for 2016. Luxurious lodge with two spacious and luxurious king size doubles, both with ensuite shower. Stylish well equipped open plan side aspect lounge/kitchen area. Patio doors leading to decking. No pets." "Brand new for 2016. Luxurious lodge with two spacious and luxurious king size doubles, both with ensuite shower. Stylish well equipped open plan side aspect lounge/kitchen area. Patio doors leading to decking with outdoor hot tub. No pets." "Brand new for 2016. Stunning, luxurious lodge with two king size doubles, one with ensuite shower and one twin. Spacious bathroom with bath with overhead shower. Stylish and well equipped open plan lounge/kitchen area. Patio doors leading to decking area. No pets." "Brand new for 2016. Stunning, luxurious lodge with two king size doubles, one with ensuite shower and one twin. Spacious bathroom with bath with overhead shower. Stylish and well equipped open plan lounge/kitchen area. Patio doors leading to decking with outdoor hot tub. No pets." "Brand new for 2016. 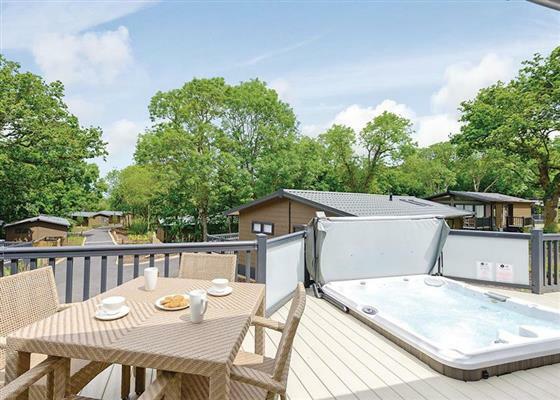 Stunning, luxurious lodge with two king size doubles, one with ensuite shower and one twin. Spacious bathroom with bath with overhead shower. Stylish and well equipped open plan lounge/kitchen area. Patio doors leading to decking area." "Brand new for 2016. Stunning, luxurious lodge with two king size doubles, one with ensuite shower and one twin. Spacious bathroom with bath with overhead shower. Stylish and well equipped open plan lounge/kitchen area. Patio doors leading to decking with outdoor hot tub." "Brand new for 2016. Contemporary and spacious lodge with two king size doubles, both with ensuite shower, and two twin. Spacious bathroom with bath with overhead shower. Stylish and well equipped open plan lounge/kitchen area. Patio doors leading to spacious decking." "Brand new for 2016. 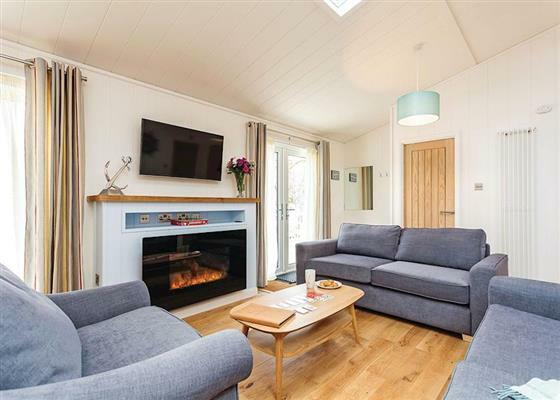 Contemporary and spacious lodge with two king size doubles, both with ensuite shower, and two twin. Spacious bathroom with bath with overhead shower. Stylish and well equipped open plan lounge/kitchen area. Patio doors leading to spacious decking with outdoor hot tub." "Brand new for 2016. Contemporary and spacious lodge with two king size doubles, both with ensuite shower, and two twin. Spacious bathroom with bath overhead shower. Stylish and well equipped open plan lounge/kitchen area. Patio doors leading to spacious decking." "Brand new for 2016. Contemporary and spacious lodge with two king size doubles, both with ensuite shower, and two twin. Spacious bathroom with bath with overhead shower. Stylish and well equipped open plan side aspect lounge/kitchen area. Patio doors leading to spacious decking with outdoor hot tub." Find out about Woodside Bay Coastal Retreat, including prices and availability. There are 16 holiday parks within 5 miles of Woodside Bay Coastal Retreat. Shepherds Den in Petersfield, Hampshire, and sleeps 2 people. 20 miles. Saughtrees in Fordingbridge, Hampshire. 27 miles. Quince Cottage in Langton Matravers, Dorset, and sleeps 2 people. 36 miles. Chancton in Bognor Regis, West Sussex, and sleeps 6 people. 25 miles. Tinks House in Ryde, Isle Of Wight. 3 miles. Pixie Cottage in Yarmouth, Isle of Wight, and sleeps 6 people. 9 miles. Fishermans Cottage in Worthing, West Sussex, and sleeps 4 people. 37 miles. Bracken in Brighstone, Isle of Wight, and sleeps 10 people. 10 miles. Coastguard Cottage in Wareham, Dorset, and sleeps 7 people. 46 miles. Mallard Cottage in Andover, Hampshire, and sleeps 5 people. 34 miles. Lanreath in Fordingbridge, Hampshire, and sleeps 6 people. 27 miles. Secret Cottage in Shanklin, Isle of Wight, and sleeps 2 people. 8 miles. Sea Breeze Cottage in Pagham, West Sussex, and sleeps 4 people. 21 miles. Maydene in Shanklin, Isle of Wight, and sleeps 6 people. 8 miles. 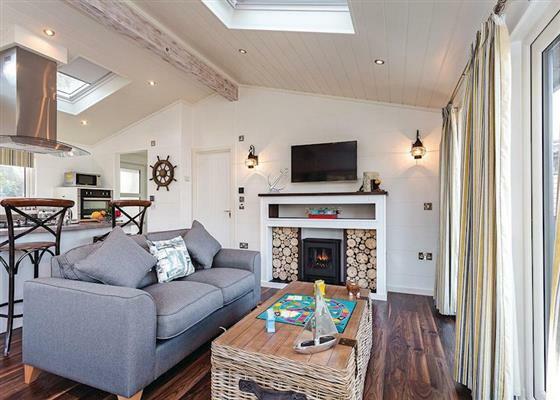 Supetsa in Worthing, West Sussex, and sleeps 8 people. 34 miles. 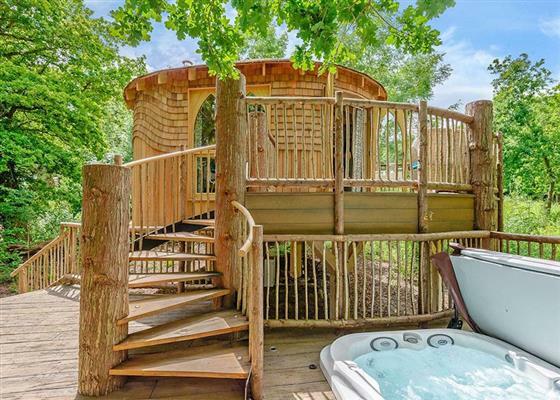 The Owl House in Bishops Waltham, Hampshire, and sleeps 6 people. 16 miles. Marley Mount Farm in Lymington, Hampshire, and sleeps 10 people. 18 miles. Wychwood in Yarmouth, Isle of Wight, and sleeps 12 people. 14 miles. Cockle Warren in Hayling Island, Hampshire, and sleeps 14 people. 12 miles. Hollyhock House in Salisbury, Wiltshire, and sleeps 6 people. 33 miles. 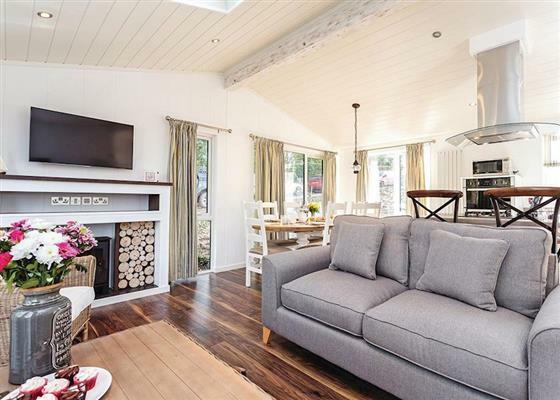 Redlands in Hook, Hampshire, and sleeps 14 people. 39 miles. Sexeys Farm Stable in Wareham, Dorset, and sleeps 6 people. 43 miles. Colts Close Stables in Wool, Dorset, and sleeps 4 people. 44 miles. Whitecroft Farmhouse in Newport, Isle of Wight, and sleeps 11 people. 6 miles. Hermitage Country House in Whitwell, Isle of Wight, and sleeps 22 people. 10 miles. Colts Close Cottage in Wool, Dorset, and sleeps 8 people. 44 miles. Breaches Barn at West Park Farm in Fordingbridge, Hampshire, and sleeps 11 people. 30 miles. 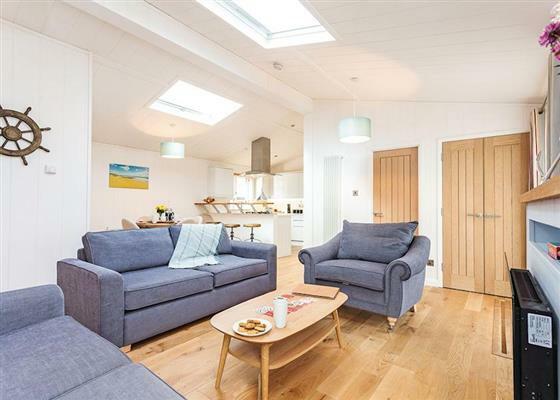 Seagers Cottage in Wareham, Dorset, and sleeps 8 people. 37 miles. 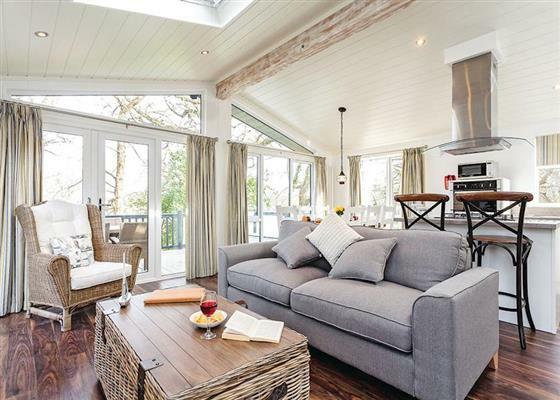 Four Oaks in Christchurch, Hampshire, and sleeps 8 people. 23 miles. Priory Cottage in Freshwater, Isle of Wight, and sleeps 10 people. 14 miles. Jolly Fisherman Cottage in Selsey, West Sussex, and sleeps 4 people. 19 miles. Derrymore House in Shanklin, Isle of Wight, and sleeps 8 people. 8 miles. Durdle Door Holiday Cottages in West Lulworth, Dorset. 46 miles. The Victorian Barn and Dairy House Farm Cottages in Blandford Forum, Dorset. 49 miles. West Park Farm in Fordingbridge, Hampshire. 30 miles. 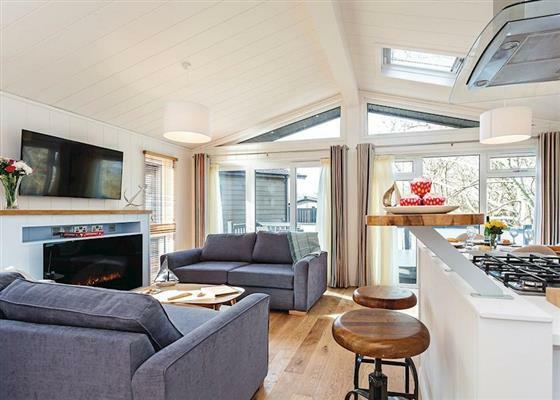 Silverland in Lymington, Hampshire, and sleeps 14 people. 17 miles. Rossiters Cottage in Yarmouth, Isle of Wight, and sleeps 6 people. 10 miles. The Old House in Southampton, Hampshire, and sleeps 11 people. 9 miles. Kingston Manor in Shorwell, Isle of Wight, and sleeps 16 people. 9 miles. Stourcliffe House in Bournemouth, Dorset, and sleeps 11 people. 26 miles. Oak Cliff Place in Ryde, Isle of Wight, and sleeps 16 people. 1 miles. The Gate House in Wimborne Minster, Dorset, and sleeps 14 people. 33 miles. Quay House in Christchurch, Dorset, and sleeps 12 people. 24 miles. Shrover Hall in Denmead, Waterlooville, and sleeps 6 people. 14 miles. 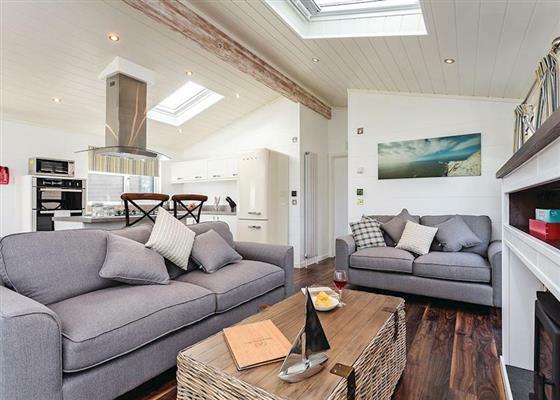 Waverley Reach in Hamble, Hampshire, and sleeps 9 people. 9 miles. Binfield House in Newport, Isle of Wight, and sleeps 11 people. 2 miles. Myrtle Cottage in Ventnor, Isle of Wight, and sleeps 6 people. 10 miles. Bodwen in Ryde, Isle of Wight. 1 miles. Yellowstones Beach House in Bournemouth, Dorset, and sleeps 26 people. 29 miles. Melville Lodge in Ventnor, Isle of Wight, and sleeps 14 people. 10 miles. Pigeon Coo Farmhouse in Hamstead, Isle of Wight, and sleeps 9 people. 9 miles. Mill Stone Cottage at Hunston Mill in Chichester, West Sussex, and sleeps 2 people. 20 miles. Waters Edge in East Cowes, Isle of Wight. 2 miles. Advantage Point in West Lulworth, Dorset, and sleeps 10 people. 46 miles. Briar Cottage in Prinsted, South Downs National Park, and sleeps 4 people. 15 miles. 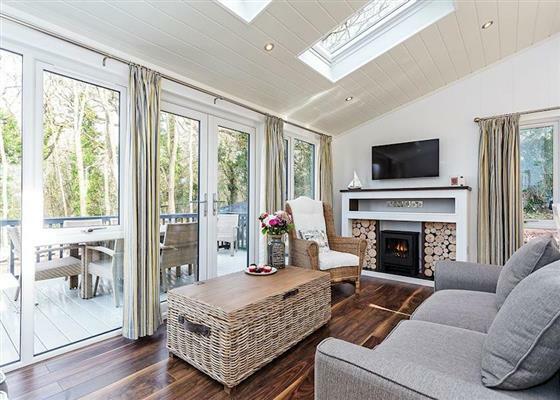 Springhead in Storrington, West Sussex, and sleeps 8 people. 35 miles. 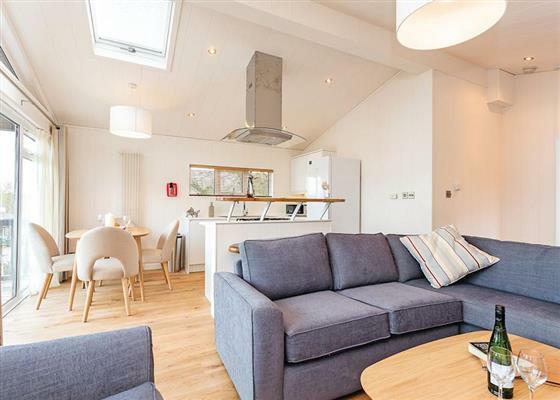 Greystones in Winchester, Hampshire, and sleeps 8 people. 26 miles.